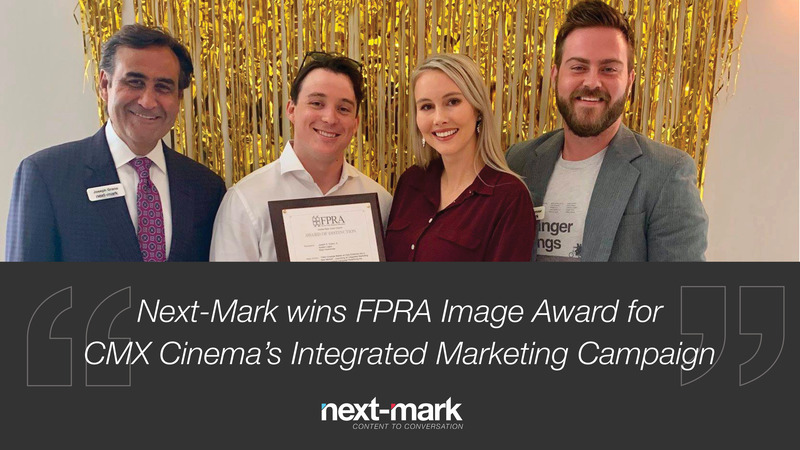 Our team at Next-Mark is excited to announce that we were recently presented with an FPRA Image Award for an integrated marketing campaign executed for international theatre company, CMX Cinemas. 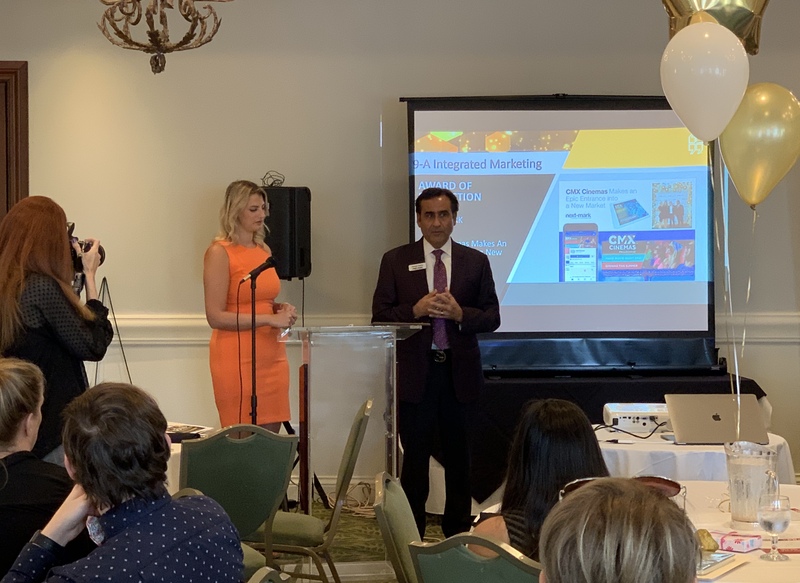 FPRA (Florida Public Relations Association) annually recognizes select communications professionals and companies for their outstanding public relations tools and programs through their Image Award program. All qualified entries must demonstrate excellence in marketing and/or communications and incorporate sound research, planning and evaluation. 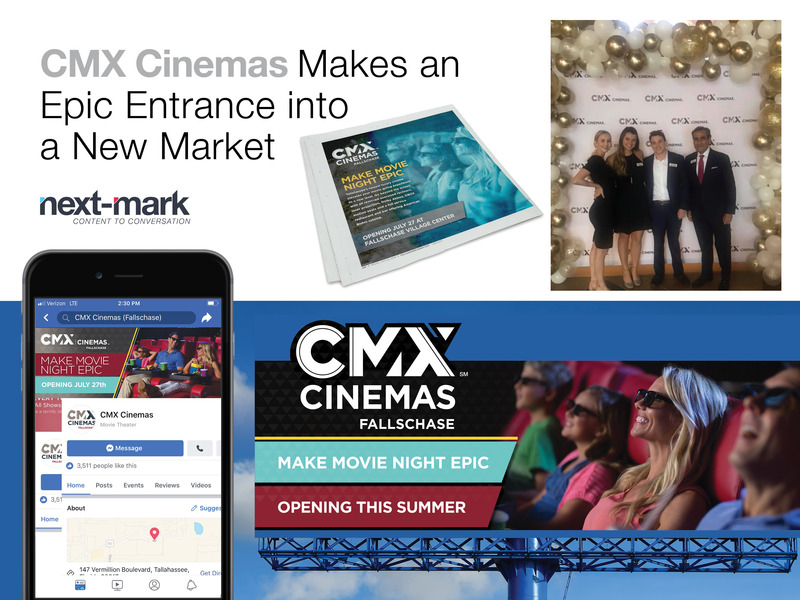 Our winning campaign – titled “Make Movie Night EPIC” – was created for the launch of CMX Cinema’s new luxury theatre in Tallahassee, FL. During this engagement, we implemented an extensive marketing communications built around theme of “EPIC” that was blended into every aspect of the campaign. We also executed a comprehensive public relations and digital plan which led to coverage in multiple high-profile publications and generated significant exposure for the new theatre. Our team is thrilled to be recognized for this “epic” campaign. 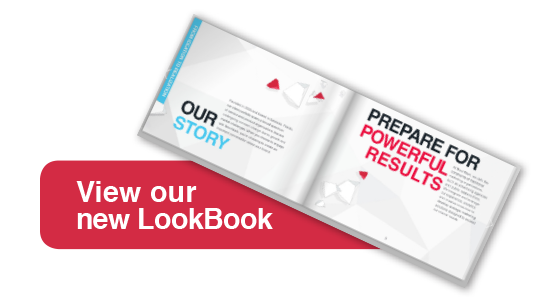 The CMX team was a fantastic partner, enabling us to create an innovative, strategic plan that exceeded their expectations and produced exciting results. Prior to the Tallahassee opening, we also had the privilege of assisting with the company’s theatre openings in Daytona and Saint Petersburg Florida. All culminated in successful media campaigns and communication initiatives for the luxury theatre company. In 2018’s Fortune 500 list of CEOs, only 24 were women – a noticeable decrease from the year prior. With women representing only a small percentage of corporate leaders, their presence is scrutinized both by people hoping to emulate their path to success and by naysayers who wish to disregard their presence. In honor of International Women’s Day, let’s explore the leadership styles of a few of the top female business leaders to learn what makes them successful communicators. Former president and editor-in-chief of The Huffington Post Media Group, Arianna Huffington is now the CEO of Thrive Global. The company runs a digital platform dedicated to helping people avoid emotional, physical and mental burnout. Huffington’s style of corporate communication is authentic, direct and candid. This approach directly aligns with her company’s values, so whether she’s speaking to a crowd or sharing her life on her many social media channels her message is always consistent and memorable. Chairman and CEO of PepsiCo, Indra Nooyi helped grow the company’s revenue from $35 billion in 2006 to $63.5 billion in 2017. Nooyi is known for her visionary leadership style, which includes navigating PepsiCo through a changing market and an impending financial crisis. For Nooyi, communication is key. 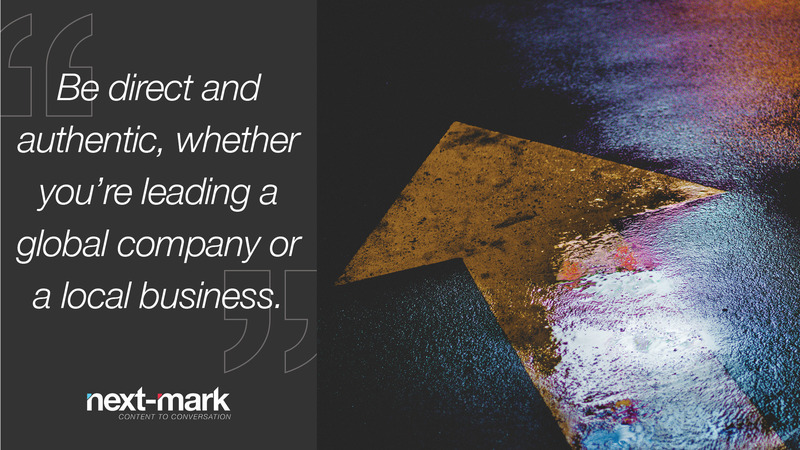 She outlines exactly what performance is needed to boost the company’s portfolio at every stage of the process, then honestly and directly addresses any concerns. Her passion, conviction and clear communication continues to be successful, leading to a total shareholder return of 162 percent. Arguably one of the most well-known female leaders of our time, Sheryl Sandberg is a master communicator. “The ability to listen is as important as the ability to speak,” she famously said. When Sandberg began her position at Facebook, she met hundreds of employees and encouraged them to share their insights and thoughts about the company. Sandberg is no stranger to the spotlight, from best-selling book “Lean In” to a TED talk that has received millions of views. No matter the topic or platform, her speaking style is simple and filled with personal stories to help her connect with her audience. She is seen as an approachable, respected and strong leader. A clear corporate communication strategy is key successful leadership. Whether you run a small business based here in Sarasota or you’re in charge of an international organization, great leaders can help motivate teams, shape company messaging and inspire change. Align your leadership strategy with a powerful marketing plan – give us a call to get started. As we embark on our 15th year in business, it’s hard to believe the incredible journey we’ve been on – and how far it has taken us. 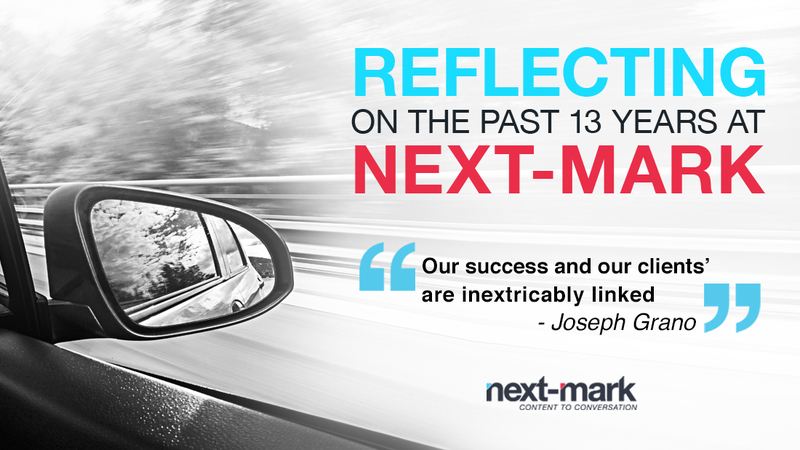 I am incredibly grateful to our team members, our clients and the many others who supported Next-Mark as it has grown and evolved in this ever-evolving marketing environment. It’s been an extraordinary experience, which literally has taken us around the world, from hosting clients from Sweden, to holding conference calls with clients in Dubai, to creating communications plans for Sarasota neighbors just a few miles down the road. From developing marketing strategies for international corporations to local sole proprietors, we have helped numerous companies create conversations about their brands and tell their stories. Their stories have become our own, and we are proud of the ongoing relationships we have with our clients and within our community. Although we definitely are proud of what we’ve accomplished, we know we didn’t do it alone. Again, we are sincerely thankful for all who helped us get to where we are and excited to continue those relationships while building new ones. We’re looking forward to what awaits us in the years ahead. If you would like to engage with us, let us know. We are ready and eager to help. As social and political issues overwhelm the media, companies are working harder than ever to cut through the clamor and grab the attention of their desired consumers. Interestingly, this cacophony has led to the liberation of graphic design. Visual marketing and advertising trends soaring in popularity are perhaps best characterized by a feeling of daring independence — strict structures are crumbling, wacky effects reign supreme and colors are flashier and louder than ever!. Graphic designers seem to have gone back to their roots as artists, experimenting and mutating previously worn-out practices. Let’s explore some of these trends that, in some ways, are giving voice to the myriad emotions felt by many around the world. Think overlapping images, multiple light sources and “glitching” photos. Known as distorted effects, these design features are coloring everything from movie posters to retail advertisements. The result is a gritty image that can feel dark and somewhat ominous. However, when paired with bright colors it can exude a modern, edgy appeal. Even the use of negative space — the blank area surrounding an object — is being elevated in 2018. Negative space is often hailed as the most important part of an image, and traditionally it has been used to draw viewers to a focal point. However, graphic designers are once again flipping the script on this institution. Now, we’re seeing images merge with negative space to create a secondary feature that not only attracts the eye, but also inspires the imagination. Utilizing negative space has also proved popular in typography. It’s tough to erase parts of letters, or space them far apart and on multiple lines, while maintaining readability. When utilized correctly, however, the treatment can entice viewers to take a little more time and absorb the piece. The effect is futuristic and can be worth the risk when applied in the right context. This year, muted colors are being shoved to the side by vibrant, bold palettes that shout for attention. We see this visual particularly being used in gradients, with colors gradually transforming and shifting into each other. Designers are also using this effect to incorporate various shapes and textures, creating an interesting visual that can benefit companies with a playful, lively brand personality. 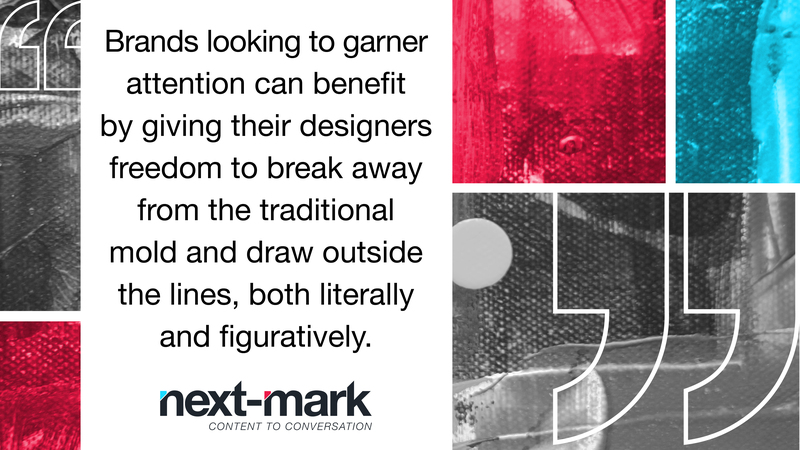 Although these trends certainly won’t work for all businesses or industries, brands looking to garner attention can benefit by giving their designers freedom to break away from the traditional mold and draw outside the lines, both literally and figuratively. However, companies also need to evaluate the longevity of these trends and whether they fit with their mission, vision and values. Are you contemplating a visual refresh? Give us a call and let’s talk. Your company is suddenly mired in a negative situation with potentially serious repercussions. While a chill grasps your heart, a slew of questions assault your brain. What’s your first step? Who are the decision makers? When and how should you respond to the media? Who should do it? Then what? Most organizations likely will be confronted with some sort of a crisis communications challenge, whether internally or externally. With thorough preparation and an efficient response, however, you will be able to shape the appropriate, successfully navigate challenging times and maybe even come out the better for it. Following are some core principles of crisis communications. The biggest takeaway, however, is this: Be prepared. That is, don’t wait for a disaster to strike. Look deep into the organization, acknowledge vulnerabilities and honestly confront them. Time-consuming? Yes. Painful? Most certainly? Necessary? Absolutely. While the resources you employ will differ with each situation, make sure you always have: a core team of leaders to vet strategies, share insight and provide approvals; established communications channels and methods through which you’ll relay messages to internal and/or external audiences; and a messaging document approved by leadership and stakeholders. Other tools, such as support resources for staff, can be added as necessitated by the crisis. Before you act, you need to assess the particular situation to fully understand the crisis at hand. Knowledge is power, and gathering intelligence is crucial to your success. Fully understanding the facts, the players involved and any outside influences will help you objectively create meaningful conversation and collaboration. 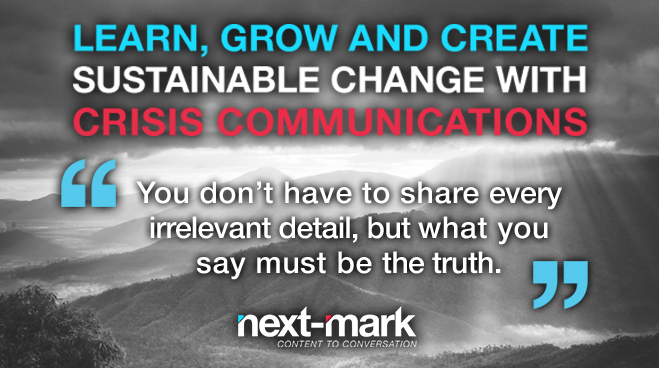 Once the facts are gathered, you’ll need to develop a communications strategy to address the issue in a timely manner. Demonstrating your ability to objectively listen and make informed decisions in a crisis communications situation will develop trust, both within your organization and with the public. If you respect each internal and external stakeholder’s position and perception of the situation, you are more likely to resolve the issue in an expedient and proficient manner. This also will ensure that you address all concerns and offer timely, effective and valid solutions that will cultivate sustainable results. You don’t have to share every irrelevant detail, but what you say must be the truth. If you don’t know what that truth is yet, say so. Don’t guess. There’s usually no going back once you’ve said the wrong thing – intentionally or unintentionally. Crises easily can get worse, so you’ll need to act fast. Make sure every step of your reaction plan is concise, clear and detailed. Each person involved should be aware of his or her responsibilities, the actions they need to take, to whom they will report and whom they should or shouldn’t contact. Checklists are an efficient way to keep team members on track. Craft your media responses in advance, even if the chance of reporter inquiries is small; if the issue does make it into the spotlight, you’ll be able to respond quickly and consistently. Your job isn’t over when the media moves on to the next story. Crises test core organizational responses, procedures and culture, and it’s a communicator’s job to help drive transformational growth. Debrief after the event to address and identify issues that emerged. Consider alternative scenarios and establish effective action plans that address weaknesses. As an organization, it’s important to follow through on promises made during a crisis. Committing to needed change and effectively communicating it to the audiences involved can instill trust and restore confidence in your company. There is so much more involved, of course, and so many specifics among the generalities. Preparing for, and learning from, crisis communications situations benefit us as professional communicators, leaders and team members in any organization. Though crises always will impose an element of chaos, preparation and a solid communications plan provide the anchor you need to make the right decisions and create the groundwork to sustain the conversation and continuously grow. Contact us for additional insight into how your organization can successfully and effectively manage crisis situations. Crises are inevitable. Every organization at some point will be confronted with a crisis communications challenge, whether internal or external. Ultimately, it’s our ability to manage and navigate through this challenge that will define us as leaders. Whether you’re a coach, consultant, or business professional, you will benefit from this presentation. With more than 25 years of comprehensive marketing, business development and public relations experience, Grano has held key executive management positions in healthcare, technology and financial services. He also served as director of marketing at two large public health systems and vice president of marketing at two health information companies. 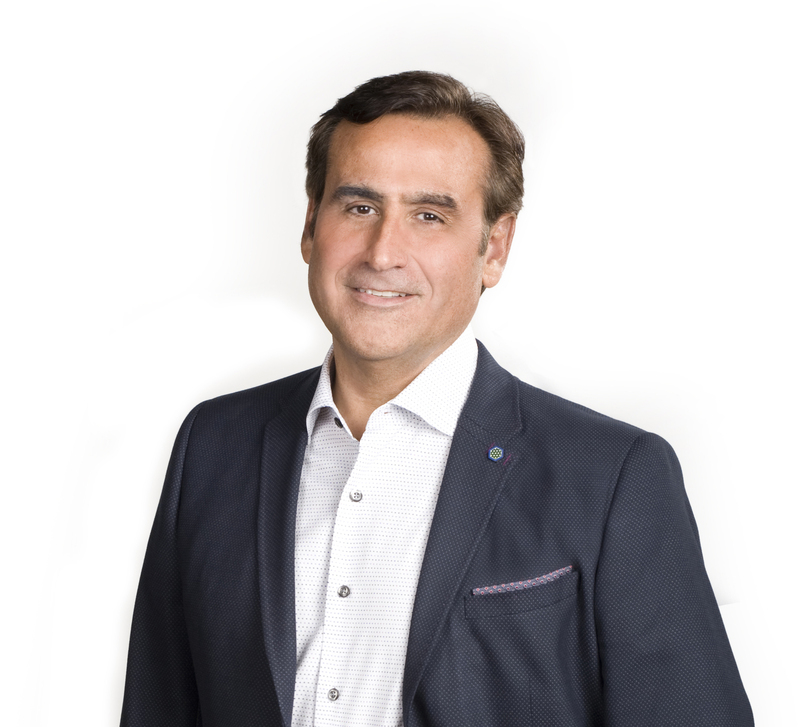 He is the president and founder of Next-Mark, LLC, a marketing solutions company that provides marketing, creative strategy and communications solutions to businesses throughout the U.S. and internationally. through marketing success. 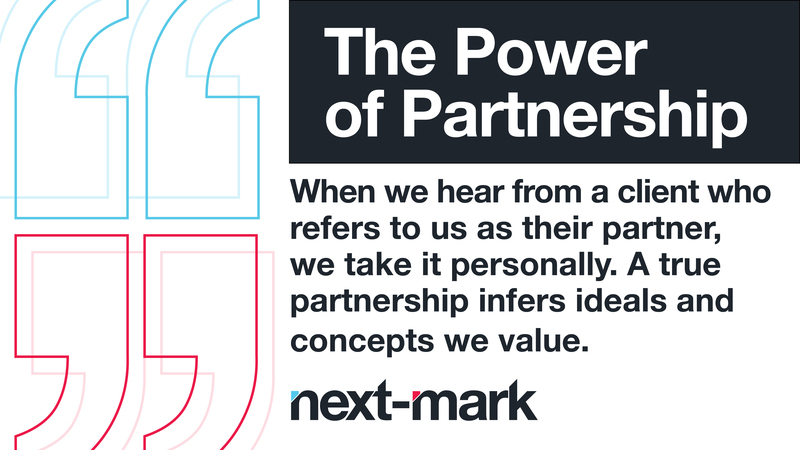 Breaking away from the constraints of traditional marketing service organizations, the Next-Mark team facilitates new conversations about their client brands by integrating experience, analytics and innovation to develop strategic marketing solutions and meet clients’ individual needs. 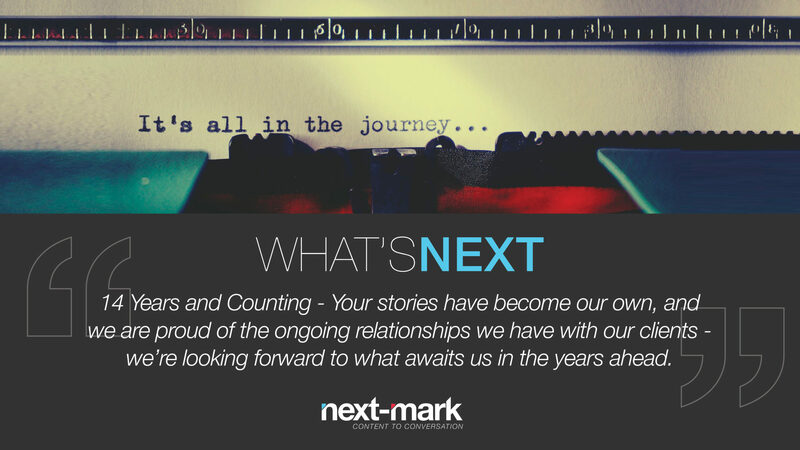 Next-Mark focuses on internationally and nationally recognized brands along with growing companies across a broad spectrum of categories, including healthcare, hospitality and entertainment, technology, retail, real estate, environmental, marine products and tourism, among others. With clients from Alaska to the Netherlands, its roster includes industry leaders such as LexisNexis, Elsevier, Nuance Communications, Cinebistro, Cobb Luxury Theatres, Yarnall Moving and Storage, Coldwell Banker, California Pizza Kitchen, CitySide Apartments, Bainbridge Financial, Paragon Solutions, Medecision, among many others. 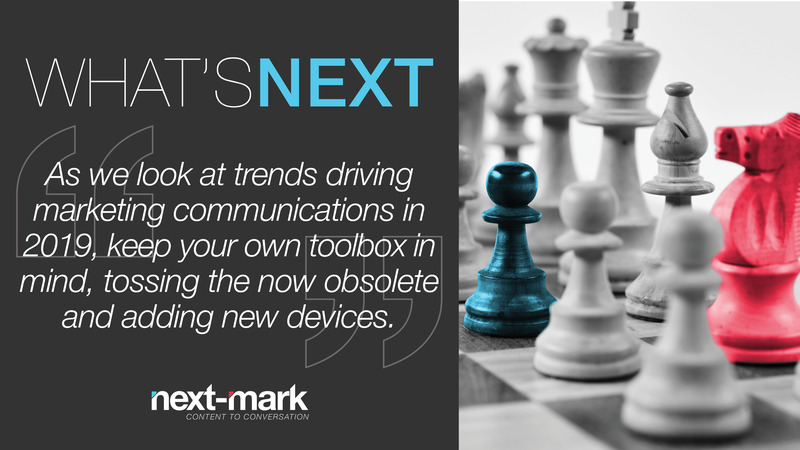 For more information, visit their website at www.next-mark.com. For many, the year’s end evokes a time of reflection, renewal and reinvention. As we weigh what we did right and what we could have done better, learning from missteps and owning them, we can work to rebuild or strengthen a foundation for sustainable success. As professional marketers, strategic planners and digital communications experts, however, we know that such self-analysis is not enough. It also requires foresight and a knowledge of what’s to come and what it may mean for the individual person or organization. Think of this stage as surfing. You study the water, using your knowledge and experience to detect any submerged dangers and then calculate when to stand up and get in front of the new wave(s) that will deliver you safely to shore. 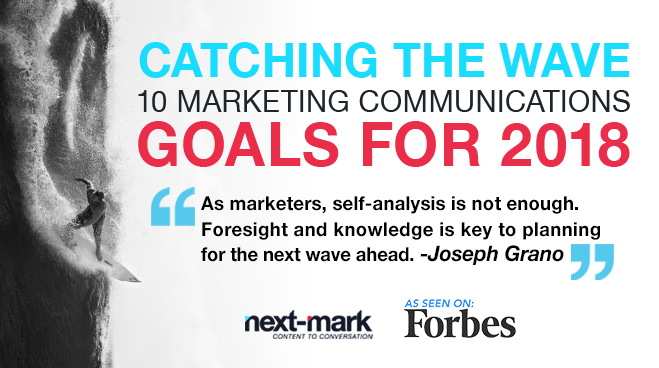 What will it take to master the marketing waves in 2018? Here are a few important considerations as we look to a New Year of trends, strategies and tactics. 1. A Strategic Mindset: This is critical to marketing success. A strategic mindset is more than rhetoric; it encompasses a disciplined approach to every aspect of what we do as professional marketing communicators. This means we must assess every initiative, tactic or campaign from a strategic perspective that looks not only at the bigger picture but also creates a positive and sustainable difference. 2. Ability To Ride The Transformative Digital Groundswell: Yes, digital is here to stay. However, we still need to recharge our digital efforts and continually refresh our digital know-how to embrace the next surge of digital tools. 3. Creative That Is Bold And Measurable: We need to move beyond being a steward of creativity to become a purveyor of ideas that not only go beyond creative exposure but also are measurable, creating new insights into a business. As professional marketers, we have a fiduciary responsibility to not only nurture the creative process but also build creative that truly moves the needle. 4. Real And Consistent Metrics: The reality is that we all value metrics as a compass for our results and overall direction. However, it may be time to refocus our efforts on optimizing our metrics to focus on a clearer measurement of our overall success. There is a lot of valuable information at our fingertips, and we must make the best use of it all. 5. Social Media Measured By Engagement, Not Raw Numbers: We must think beyond “likes” and emojis to consider the long-term engagement we want to cultivate within our sphere of influence. To do this effectively, we must provide candid, respecting opinions and create opportunities for open dialogue. 6. Street-Level Promotion: Of course, digital marketing activities are important, but are your products/services understood at street level? Is there a passion for your brand that transcends a transaction and builds a fundamental understanding? Be street level. A marketing plan must resonate on Main Street as much as in the virtual world. 7. An Advocate Of Your Brand Promise: Don’t just be a purveyor of your product or service. A brand’s marketing must connect with the consumer both functionally and emotionally to truly differentiate it from competitors. 8. Public Relations: Good ol’ PR is still critical if done well. This means taking every opportunity — from new hires to big changes — to deliver real news that helps keep your company top of mind and build relationships both with consumers and media outlets. 9. Valuable Content: Content marketing is a powerful tool. Instead of pitching your products or services, you are providing truly relevant and useful content to your prospects and customers to help them solve their issues. 10. Thought Leadership: Thought leadership is at the core of every message and should be part of a company’s DNA. Positioning a company or its leadership as an expert in its industry dovetails with effective content marketing to solidify image and open doors to consumers. This is the time to clear out any cobwebs and shake off any obstructions to needed change (“We’ve always done it this way”) and marketing creativity (“Management will never go for this”). It’s also the time to ramp up excitement for what no doubt will be another significant year in marketing communications.